Captain Jean-Luc Picard has long enjoyed playing the part of Dixon Hill, a hard-boiled private eye straight out of American pulpfiction. His holographic excursions into 1940s San Francisco, a colorful world of gunplay and gangsters, provide a welcome diversion from his hefty responsibilities as a Starfleet captain. 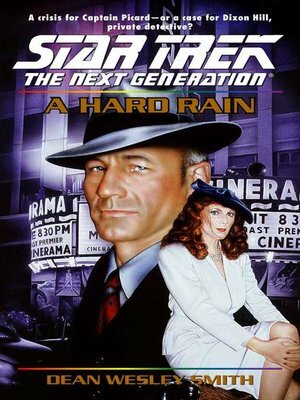 Now Dixon Hill, alias Jean-Luc Picard, must get to the bottom of a tangled mystery that threatens the lives of everyone aboard the Enterprise !